The Lockheed Model 188 Electra is an American turboprop airliner built by Lockheed. 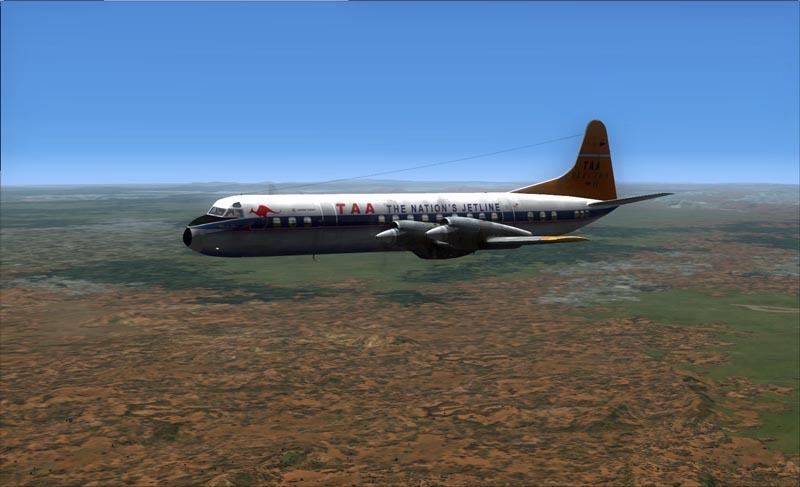 First flying in 1957, it was the first large turboprop airliner produced in the United States. Initial sales were good, but after two fatal crashes which prompted an expensive modification program to fix a design defect, no further orders were placed. The type was soon replaced by turbojet airliners but many were modified as freighters and the type continues to operate in various roles into the 21st Century. The airframe was also used as the basis for the Lockheed P-3 Orion maritime patrol aircraft. Lockheed had established a strong position in airliner production with its piston-engined Constellation series and was approached by Capital Airlines to develop a turboprop airliner, but with no interest from other American carriers the company did not produce a design and Capital went on to order 60 British Vickers Viscount four-engined turboprop airliners. In 1954 the company offered a twin-engined design, the CL-303, to meet an American Airlines requirement; it was a high-wing design for 60 to 70 passengers but again the design failed to interest other carriers. American Airlines then revised its requirement and specified a four-engine design for 75 passengers and a range of 2000 miles (3220 km). To meet this Lockheed proposed a new design, the CL-310 with a low wing and either four Rolls-Royce Darts or Napier Elands. The CL-310 design met the American Airlines requirement but Eastern Airlines wanted an aircraft with more range and 85 to 90 seats. Lockheed modified and enlarged the CL-310 design to use the Allison 501-D13 , a civilian version of the T56 originally developed for the prototype Lockheed C-130 Hercules military transport. This design was launched as the Model 188 with an order for 35 aircraft by American Airlines on June 8, 1955, this was followed by an Eastern Airlines order for 40 on September 27, 1955. The first aircraft took 26 months to complete and by that time Lockheed had orders for 129 aircraft. The prototype, a Model 188A, first flew on December 6, 1957. and a was awarded a type certificate by the Federal Aviation Administration (FAA) on 22 August 1958. 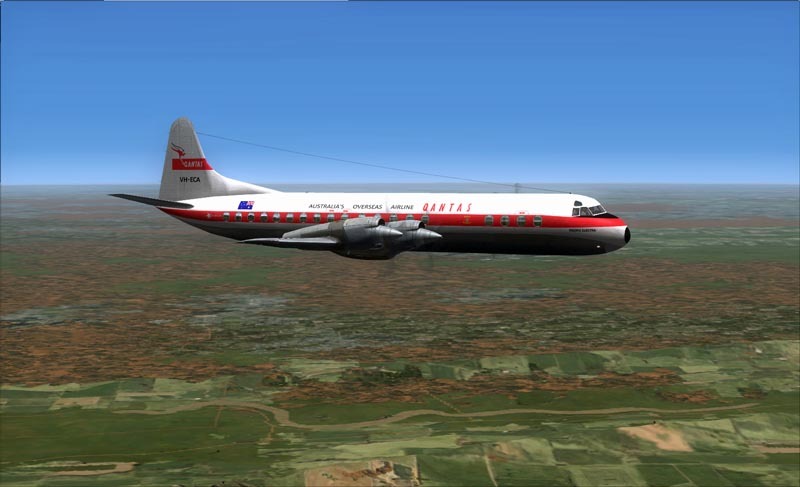 The first delivery was to Eastern Airlines on October 8, 1958 although it did not enter service until January 1959. In 1957 the United States Navy issued a requirement for an advanced maritime patrol aircraft. Lockheed proposed a development of the Electra which was later placed into production as the P-3 Orion, which saw much greater success. The Orion approaches nearly 50 years of front-line service. The Model 188 Electra is a low-wing cantilever monoplane powered by four wing-mounted Allison 501-D13 turboprops. It has a retractable nose-wheel landing gear and a conventional tailplane. It has a cockpit crew of three and can carry 66 to 80 passengers in a mixed-class arrangement, although 98 could be carried in a high-density configuration. The first variant was the Model 188A which was followed by the longer-range Model 188C with increased fuel load and a higher take-off weight. As of August 2010 a total of 11 Lockheed L-188 Electra aircraft (all variants) were reported in airline service, with Atlantic Airlines (7) and Buffalo Airways (4) operating cargo variants and Trans Service Airlift operating a passenger 188A. As of July 2011, only freighter and firefighting airtankers remained in service. 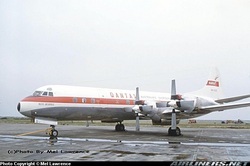 Atlantic Airlines operated three and Buffalo Airways four, while another 13 Electras were registered to Canadian company Air Spray, converted into airtankers with a 3000 US gallon capacity tank; and two to Conair Group, also configured as airtankers.